Under contract with UDOT Region Two, SUE Solutions performed Quality Level ‘A’ Subsurface Utility Engineering services for this UDOT project. 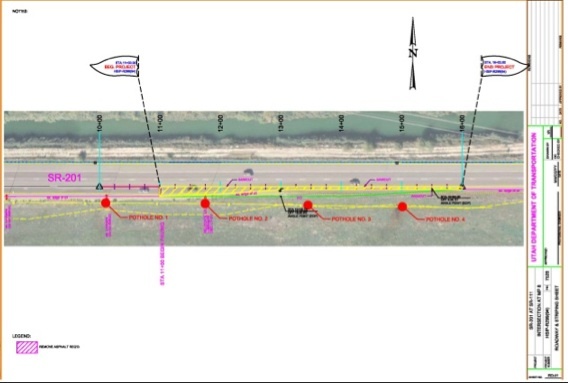 UDOT identified four locations which the existing 12 inch high pressure gas line conflicted with the ongoing roadway widening design. 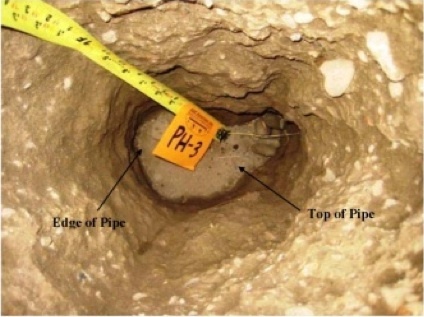 SUE Solutions coordinated their Level ‘A’ locating services with UDOT’s Design Engineer, local Blue Stake contractors, and Questar Gas’ High Pressure Pipeline Department, successfully completing the potholing services. SUE Solutions locating services were completed through the use of non-destructive means (vacuum excavation and compressed air) to expose existing utilities gathering critical utility data such as depth, size, material, and material type. SUE Solutions also conducted the survey tasks, accurately tying the vertical utility information to the project’s survey control network. The Quality Level ‘A’ data gathered was critical in the success achieved by the Contractor, completing this project.